Portland’s Boom Arts has partnered with Seattle’s On The Boards (and OnTheBoards.tv) to bring a unique and socially relevant video piece to five Northwest communities this spring. At each location, a video recording of AMARILLO by Mexico’s Teatro Linea de Sombra, captured live at On The Boards in Seattle last fall, will be shown, accompanied by conversations with area scholars and community leaders. This poignant visual/object/multimedia theatre work brings a poetic Mexican perspective to our shared dialogue on Mexican and Central American immigration to the US. A man departs for the US–Mexican border and vanishes before reaching his destination: Amarillo, Texas. 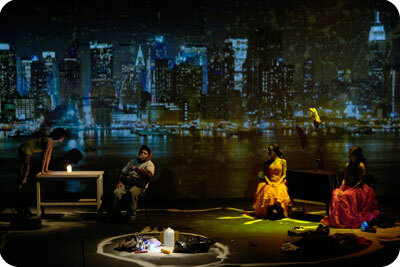 Through stunning projected images, bilingual monologues and a sea of displaced objects and natural elements, this renowned company reconstructs his journey in a multimedia performance that travels imagined landscapes of both geography and cultural identity. 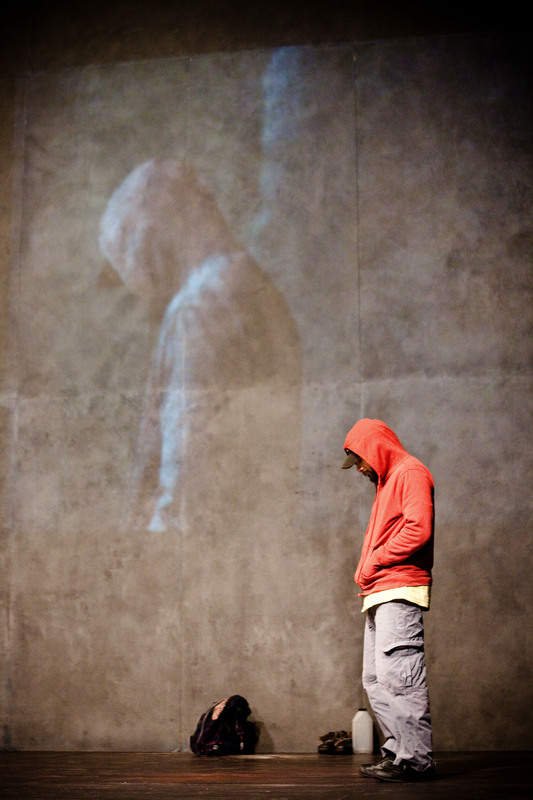 The absent man takes on multiple faces and names as he comes to symbolize the thousands of disillusioned travelers who have suffered a similar fate. Amarillo touches on the complex nature of individual and national identity in a time of exodus—both for those who leave and those who are left behind. 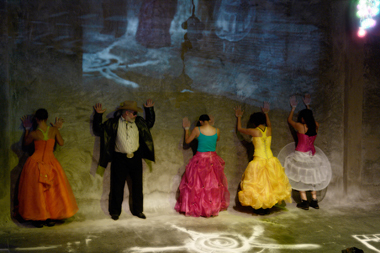 Teatro Línea de Sombra is one of the most celebrated Mexican theater ensembles. Their roots in political theater and ensemble collaborations result in performances with visceral imagery, evocative soundscapes and rich storytelling. Twice awarded the Best Research Theatre in Mexico (2000 and 2005), they have toured in numerous countries in both North and South America and Europe, and are permanently touring their home country. See the Seattle Times review of the show. Featuring a discussion with Paul Apostolidis, Professor and T. Paul Chair of Political Science at Whitman College and author, Breaks in the Chain: What Immigrant Workers Can Teach America About Democracy (University of Minnesota Press, 2010), and community leaders. Followed by a reception with live music by members of the Seattle Fandango Project. May 22, 2013 at 7:00pm/Suggested Donation $5 (No reservations necessary). Presented in conjunction with El Centro Milagro’s mainstage production, Dance for a Dollar. Featuring a discussion with Amalia Gladhart, Professor of Spanish and Head of the Department of Romance Languages at the University of Oregon. Followed by a discussion with community leaders. Find out what happens next.